Skyr is Iceland’s traditional dairy product – a bit like a yogurt but thicker, super-nutritious and naturally 0% fat. Each delicious pot contains about three times as much protein as typical yogurt and is naturally rich in calcium. With low sugar and only the best simple ingredients we can find, our skyr is virtuous as well as velvety. We travelled to Iceland to learn how to make it. Back home at Hesper Farm, we make skyr in our purpose-built dairy, with milk from our own award-winning pedigree Holstein Friesians. Set off the beaten track, in the beautiful Yorkshire Dales, our cows enjoy a good life, outdoors in tune with the seasons. We care about quality and are passionate about our product. We’re proud to be going our own way, being the first British farm to bring you skyr. 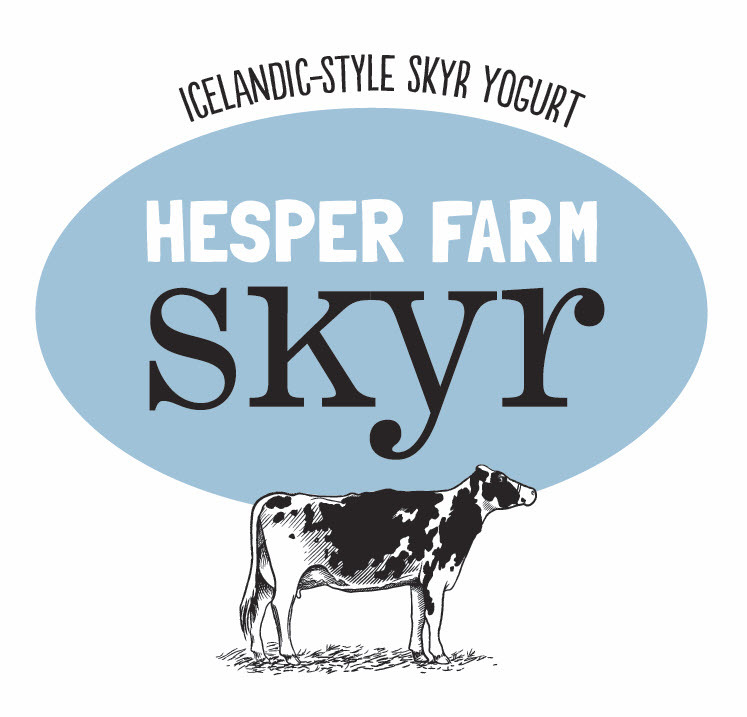 Hesper Farm Skyr is available in Original, Vanilla, Blueberry & Strawberry. Available from Town End Farm Shop in 150g portion pots & 450g serving pots. This entry was posted in Uncategorized and tagged blueberry, freisian, holstein friesians, iceland, lcelandic, milk, original, skyr, strawberry, vanilla, yogurt, Yorkshire Dales. Bookmark the permalink.